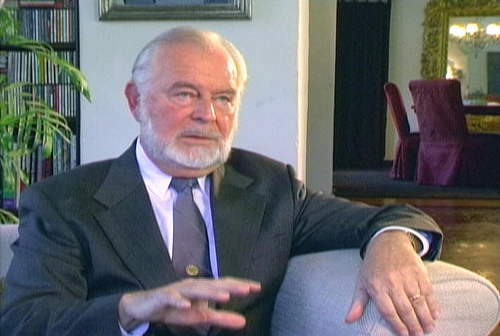 Linked below is an 80-minute interview with G. Edward Griffin, the author or "The Creature from Jekyll Island." I highly recommend that you watch it in its entirety. How the Republican and Democratic parties may differ on small issues, but are the same on the major, important ones, such as foreign policy, moving the US into a One World Government, and protection of the banks. How the Tea Party is a true grassroots movement that the Republican Party is trying to control. How the Council on Foreign Relations controls the major policies of both political parties. How there are efforts underway to control information on the Internet to prevent the people from learning the truth about what is being done to their country. How the United States is now a democratic dictatorship...how we have a king, even though we do not address him as such. I am currently reading his book, "The Creature from Jekyll Island," and it is excellent. As I have said before, this gentleman deserves the Medal of Freedom.